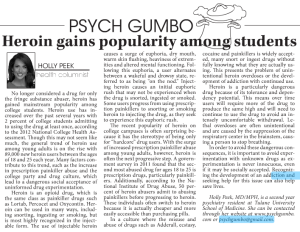 No longer considered a drug for the fringe substance abuser, heroin has gained more mainstream popularity, even among college students. 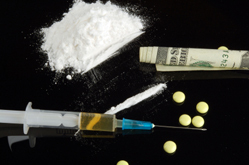 Heroin is an opiate in the same class as painkillers such as lortab, percocet or oxycontin. Although it is more recognizable in its injectable form, it can also be smoked, ingested or snorted. 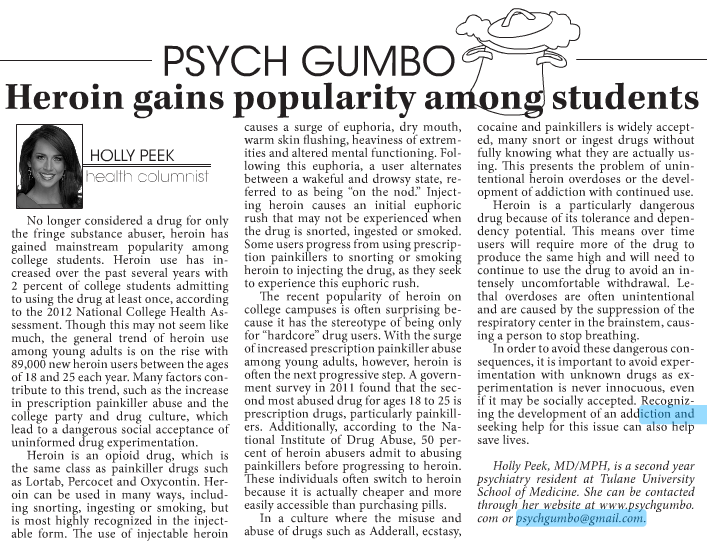 The widely accepted drug culture on college campuses has made it socially acceptable to experiment with various drugs, including heroin. 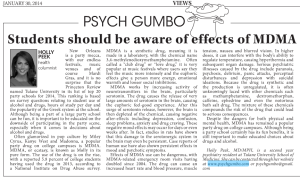 Experimentation is not always innocuous, however, as heroin is a drug with a potential for drug addiction and a highly uncomfortable withdrawal. 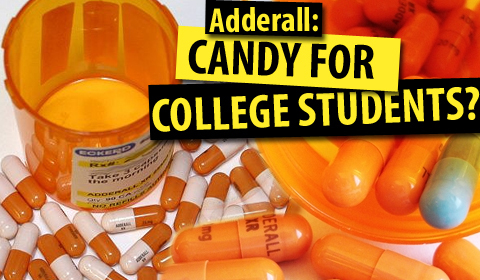 Accidental overdoses are particularly deadly, as some students do not even realize what they may be snorting at a party is in actuality heroin. 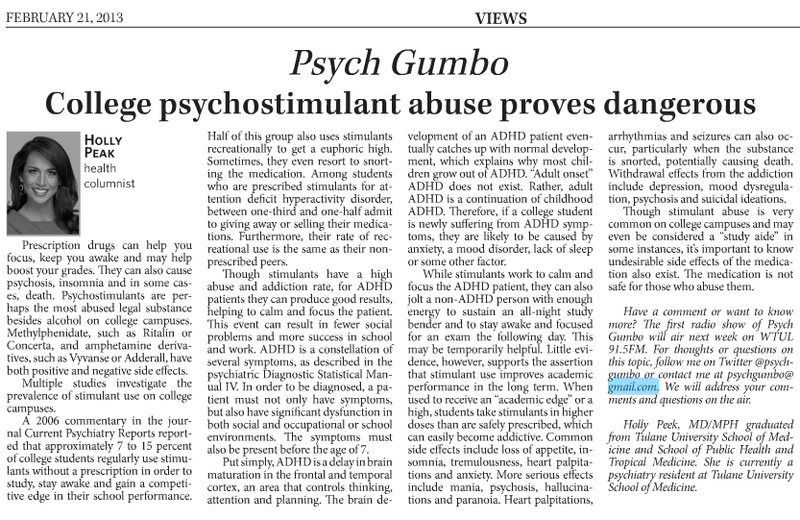 To learn more, check out my latest article in The Tulane Hullabaloo. 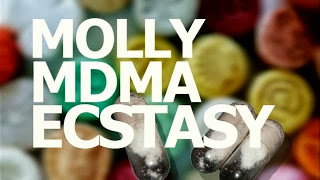 Pop culture icons such as Miley Cyrus, Madonna and Kanye West have glorified through their music the use of a popular drug called Molly, also known as MDMA or ecstasy. 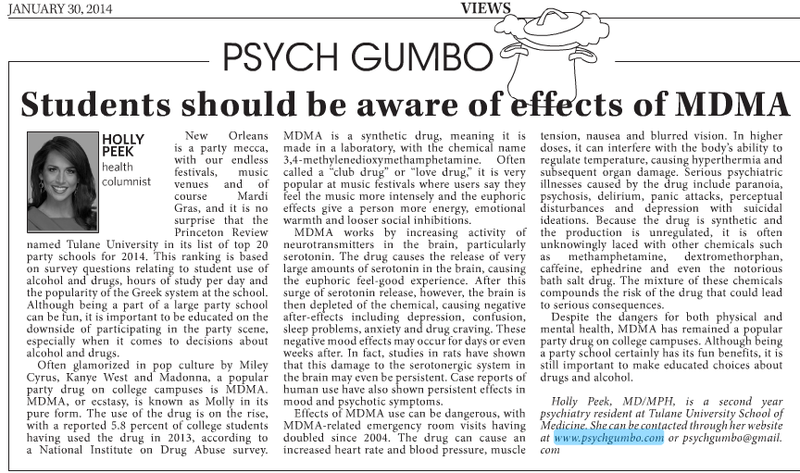 The drug has become very popular in the college party scene with a reported 5.8% of college students having used the drug in 2013. Although drug users often report a euphoric high from the drug, there is a dark side including serious physical and mental health risks. Check out my latest column to learn more! 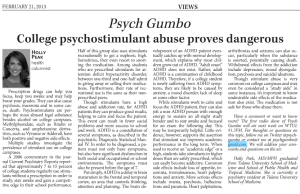 As a psychiatry resident working in New Orleans, I have the opportunity to treat a wide range of interesting people. I also have the great opportunity to work with college students when they show up to the Tulane emergency room in crisis. 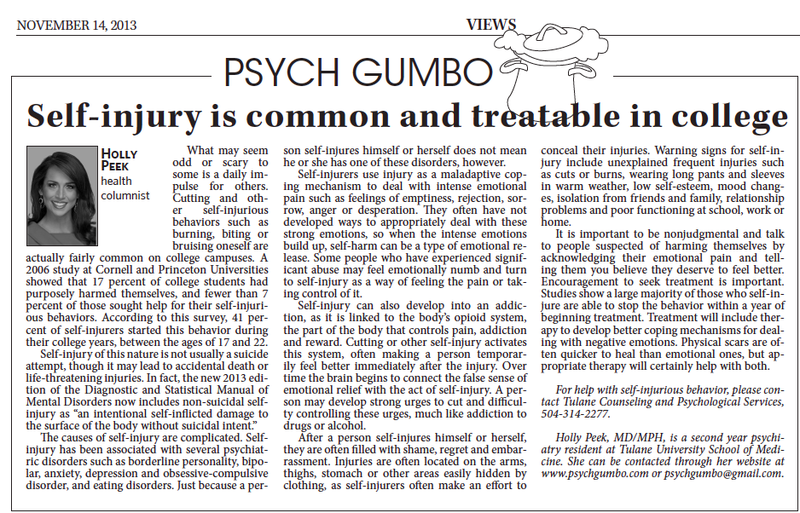 Something that I often see in these students and other young adults is a pattern of self-injury. 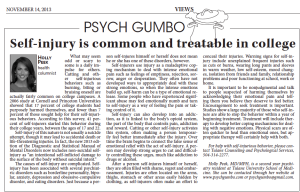 Dr. Holly Peek interviews Dr. Omar Manejwala about his newly published book “Craving: Why We Can’t Seem to Get Enough.” On this episode of Psych Gumbo, they explore the phenomenon of cravings and addiction. Visit Dr. Manejwala’s site at cravingbook.com to learn more and to order a copy of this very interesting book!